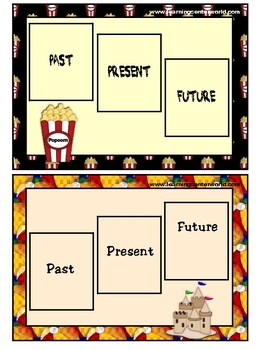 With this file folder game kids will read sentences describing summer activities and decide whether they express a past, a present or a future action. 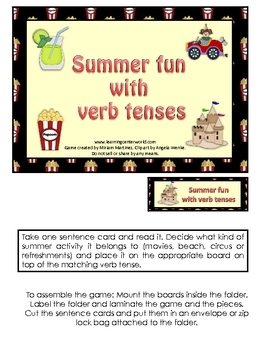 Let kids have summer fun with this lovely game! 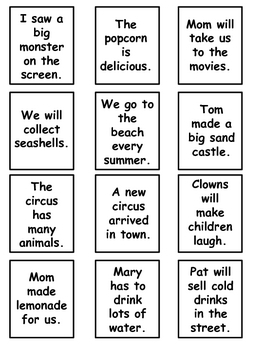 Topics can also be used as great conversation starters or writing prompts.